Channeled by Paul E. Yandeau. This submission carries a MULTIDIMENSIONAL COPYRIGHT (M©) in the name of all beings everywhere; Please copy and share! Source: www.spiritual-endeavors.org. 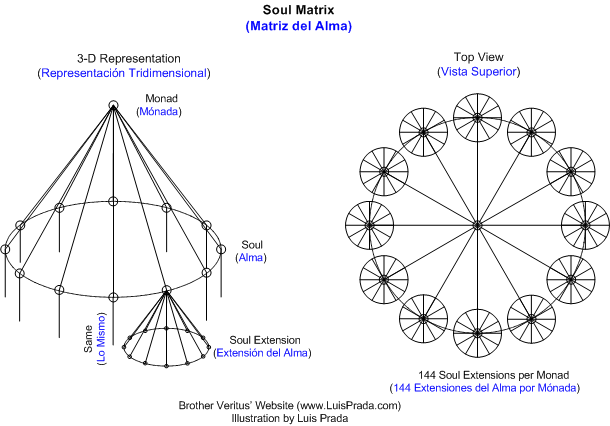 Illustrations of the Soul Matrix by Luis Prada, Editor and Publisher of Brother Veritus’ Website. See illustrations for better text clarity. What is the I am presence? It is that within you which is part of God Source. The balance within, the core star of who you are. You are no different than I, equal in that part of Source we all are. I have greater consciousness than you, not better, just more in my mastery of remembrance, a place of growth that you will attain, all humanity will attain. So, beloved, you are me, I am you. We are all God source. We are all magical, masters, God source, divine beings. Live, Love, Light, Laugh, great Joy, at-one-meant. So, what does a Soul Group consist of? 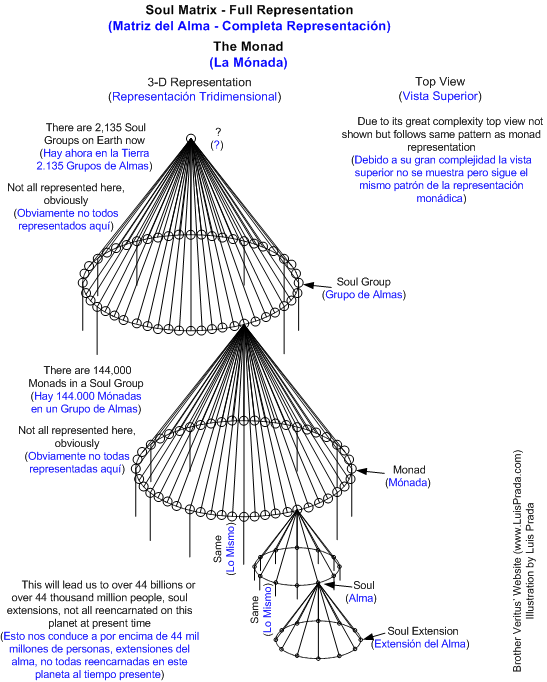 There are 2,135 Soul Groups upon the Earth at this time. Each Group has 144,000 Monads, each Monad has 12 oversoul Souls that split into the duality of male-female upon entering into the 3rd dimensional form. You, as either male or female, are that part of God, which is one with all that is, to experience, individually, all creation in its diversity and wonderment. Those, who you call Soul Mates, are beings who have agreements with you to teach, and be taught by you, the lessons in this diversity, down through the illusion of what we call time. The purpose of duality is to understand Light and Darkness in fullness of Creation. You, as an individual, have God, both as Light and Darkness. You choose which you will experience in the Now moment. Your life reflects those choices. Twin Flames are that original male-female split from the monad you descended from. As members of a monad take on greater Light in their mastery of remembrance they contribute to the Soul Groups greater Light in its mastery of remembrance, and as the Soul Group evolves in taking on greater Light, it too, takes on greater amounts of Light to evolve in its mastery of remembrance. It is my wish, Beloved, this information brings greater understanding in your remembrance. Love and Light to you. St. Germain. Interesting. I spent some years studying the channeling of Mark and Elizabeth Clare Prophet. The St. Germane they portrayed was quite a different fellow with a very heroic continence. 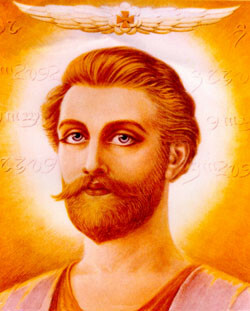 It felt very hard to ever become the God that he was and I felt quite inadequate and was encouraged to do many decrees and violet flames and to work very hard at becoming a better more pure type of person. I found this path to be far too demanding yet I honor the warriors that spend the hours in decreeing for world peace on a daily basis to be quite amazing beings. I felt they were not my "tribe" yet I loved them. They were always looking for their 144,000 souls which lines up very nicely with your soul matrix chart. I found myself realizing I was not comfortable with this particular spiritual path. I enjoy other paths and currently have returned to using the Course in Miracles as my daily guide and have found the groups that study this particular path much more "like minded" and comfortable. They feel like the soul extensions that are resonating with me at this time. Thanks for your wonderful site. I appreciate it very much.